Looking for innovative ways to bring more value to your customers, and new revenue streams to your business? Look to Gesture Partner Programs. They offer a source of repeat income for your business—while providing outstanding flexibility and customization for you.We understand that we have to build our business on carefully nurtured alliances and partnerships. We aim to create an alliance where both partners are deeply committed to an ongoing relationship that is a win-win solution for both. We help our customers select and implement the right solutions for businesses. With a profound knowledge of the web enabling business, we provide consulting expertise and the web enabling support that our customers need in order to transform their enterprises into dynamic and collaborative organizations. Why do we seek a Partnership? To turn the collaborative vision into a reality and in the spirit of long-term partnership we ensure that the combined customer base gains access to products and services as an integrated whole. We expect the corporation with any individual and firms in any part of the world to grow our business together by synergy both you and our resources and to assist each other to explore the opportunity and to reach a new high on the basis of fairness and mutual benefit. Add new services that can help your clients grow their businesses. Reseller :- Gesture's Reseller are an extension of our sales force and services delivery. They supply extensive domain expertise in digital business-and we help them tailor our solution to meet the unique needs of their global and regional customers. Global channel enablement is a key initiative at gesture, which is why we have created four distinct programs for resellers/system integrators, outsourcers, and consultants. 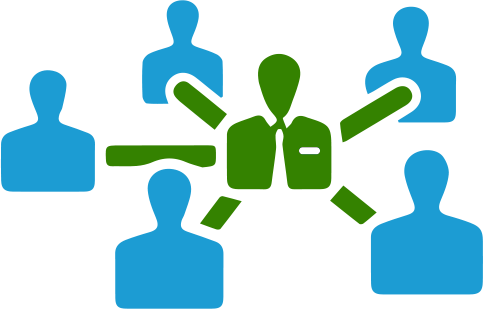 As a Reseller, you can now offer: All Gesture Services like Domain,HostServer space ,Email Space ,Website Design ,SMS ,E-book,Format convert ect..
A Separate Branded Exclusive Online Shop provided by us for You. You can sale product/services any where any time . Business Partner webinars and newsletters to keep you informed of product and program updates. Free gesture account for your company's own marketing purposes. Flexible mode of payment online payment gateway account for easy payment receive. white lable website pages to capture trial signups (see Demo ). Access to our Partner Extranet for marketing tools and promotional materials. The Gesture Affiliate Program is the simplest way for you to earn big commissions by promoting one of the best Web Apps/Scripts recognized worldwide. 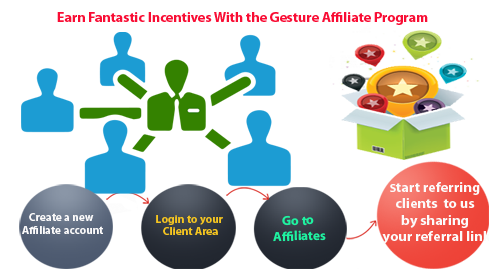 You can promote gesture by using the HTML Banners & Text Links that we provide through free sign up online affiliate program; and on our side, we track the traffic (referrals) you send to our website through your affiliate link. As soon as one of your referrals becomes a clients or buy our products/services with us, you are notified and we award you a commission (upto 25%) on that sale Affiliate Link: A special link that contains a unique id or username of the affiliate despite of possibility to earn commissions, we prepared additional discounts for our products, premium support with reduced response time and special offers for custom software development! Apply to our Affiliate program and earn Upto 25% attractive commissions from sales generated through your affiliate links! You can promote us virtually everywhere online. Your Website, Blog, Forums, Email Marketing lists, Social Media Sites such as Facebook, Linkedin & Twitter), Online Communities or wherever you feel we fit. All of the promotional material we offer can be found in the campaigns section within your affiliate panel . we will regularly keep coming out with fresh marketing collaterals such as Banners, Text Links, Mailers and incentives that will help convert your referrals easily. Do: Create SEO friendly blog posts or a guest blog to write about an area of interest that is related to the service you're marketing. Use targeted banner ads including banner ads for specific categories of gesture site. You can download each of the banners here. Promote limited time discounts that we run on collections of items. Use handy affiliate plugins that recommend items automatically. Browse all affiliate scripts and plugins here. Promote new and growing categories on websiteshelter. To see what's coming up, you can follow our gesture Most Wanted competitions. Don't: Confuse consumers through the design of your site by copying our site design or using our logos other than the prescribed affiliate banners which you can find here. Link from any gesturet site or from any domain owned and operated by gesture in order to gain referrals. 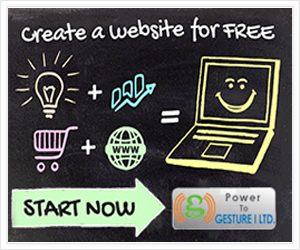 Use Gesture brands, trademarks and intellectual property other than those banner and logos approved by Gesture and made available to affiliates on the referral page. Purchase a domain name, search engine keyword or pay-per-click advertisement that uses any Gesture trademarks or variations and mis-spellings. Business Associates are "GESTURE Businesses/Free Lancers who can work Part time/Full time in Marketing for Gesture Services." Our Business Associates gets Attractive Pricing & Commission Structure. Any Business/Individual who is interested to sell our Services in Part time/Full time can join hands with us and can make revenues.Business Associates shall be an independent contractor. This is only a part time work for us and will not impact on their main work. Principally we are looking at assistance in procuring sales application of company services. Whose job is to help the customer to evaluate the product as demo which gives the customer best possible usage. • Lowest Pricing + Attractive Commission Structure we will pay a commission upto twenty-five (5-25%) percent of each sale. Do: Create market an area of interest that is related to the service you're marketing. .Please allow up to four weeks for the initial review process. When the initial review is completed you will receive a request for more information or you will be informed that Gesture I Ltd will not be pursuing the business opportunity with you. By submitting materials to us, you are agreeing that the materials do not contain information that is confidential, proprietary, or otherwise protected. You acknowledge that Gesture I Ltd may be developing products or programs that are similar or identical to your submissions and that Gesture I Ltd is under no obligation to compensate you for any business idea or plan submitted, regardless of whether Gesture I Ltd pursues a similar idea in the future. Referral banners You can find a large variety of referral banners below for each websiteshelter site! 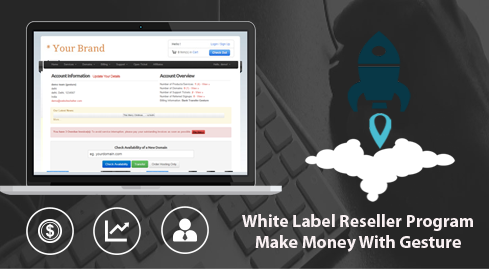 To generate revenue as an affiliate, you need to send traffic to the websiteshelter.com site. The users/traffic can be either directed to the to gesture Home Page, to a particular form category (i.e. website ) or even to individual products (i.e. domain registration search ). Each link directing traffic from the affiliate's site to the gesture site contains a special code that allows us to track sales generated by each different affiliate. We welcome and encourage you to place a link on your Web site to websiteshelter.com - "Right Tool For Your Online Business" . The Portal provides a single window interface to the online information and services being provided by variousoffice automation . As per our linking Policy, no prior permission is required to link"Websiteshelter.com"' from your website. However, we would like you to inform us (using the contact us option) about any links provided to this Portal so that you can be informed of any changes or updations therein. Also, we do not permit our pages to be loaded into frames on your site.